Arrhythmia monitoring refers to tests physicians use to identify the type and the cause of irregular heart rhythms. Arrhythmias are changes in the heart’s normal rate or rhythm and are classified by their location in the heart and by their speed or rhythm. An atrial or supraventricular arrhythmia occurs in 1 of the 2 upper chambers of the heart, the left or right atrium. Ventricular arrhythmias originate in the ventricles, the lower chambers of the heart, and can interfere with the heart’s ability to pump blood to the body. One way that physicians monitor arrhythmias is by using ECG. Holter monitors. Holter monitors are worn for 1 to 2 days while the patient goes about normal tasks. The device uses between 3 to 7 electrodes that attach to the patient’s chest. Wires from the electrodes lead to a small battery-powered device that can be clipped onto a waistband or belt, or placed in a small carrying case and slung over a person’s shoulder. The device constantly monitors the heart and records the heart’s rhythms onto a computer disk. Patients keep a diary of their activities, such as sleeping or eating, so that physicians can associate any arrhythmia with a specific activity. During Holter monitor testing, patients should avoid taking showers or baths and limit the use of small electrical devices, such as electric toothbrushes or razors. Loop recorders. A loop recorder is also a portable device with electrodes that are worn continuously for an extended period of time. Like Holter monitors, electrodes on a person’s chest that are connected to the loop recorder enable constant monitoring of the heart’s electrical activity. But a loop recorder continues to record and re-record the heart’s activity in a loop. 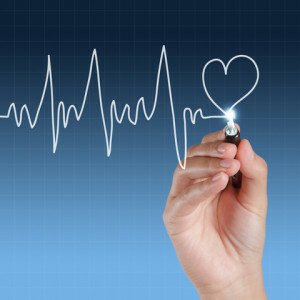 When a person notes arrhythmia symptoms, he or she saves the recording of the heart’s electrical activity before, during, and immediately after the event. The information can be kept or transmitted to the physician. In cases where the symptomatic events occur much less frequently, implantable loop recorders can be placed under the skin near the collarbone. The devices may be left in place for up to 18-24 months. Once an arrhythmia is detected, the recorder can be removed.